The color noted for the dress is Ivory but it actually appears more true white. See pictures to see color. 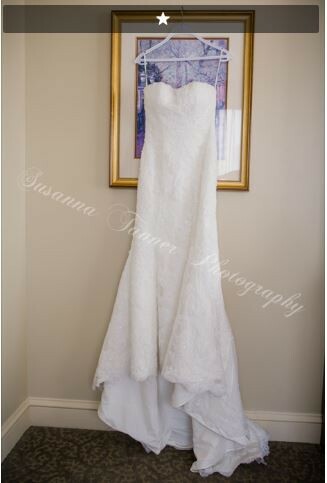 Length shortened to accommodate bride 5'7, 5 point bustle added for train. cups sewn in for breast size cup C (easily removable, simply pinned in). Brought in slightly around waist line.